A tradition can usually be defined as a behavior or a belief that is passed down from generation to generation. Traditions are usually predictable and they have the power to create a sense of unity. Often, traditions are associated with some of the best memories of our lives and as you are probably aware, food and tradition go hand in hand. I would like to share with you a hot beverage which is traditional in my family. 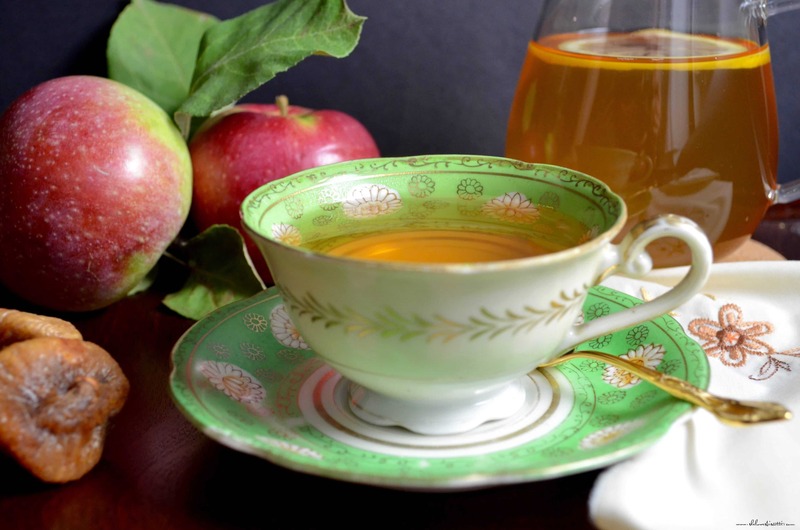 I have called it Apple Fig Herbal Tea. I can still remember how my grandmother would sprint into action the minute any of her grandchildren had a minor cough or felt a bit feverish. 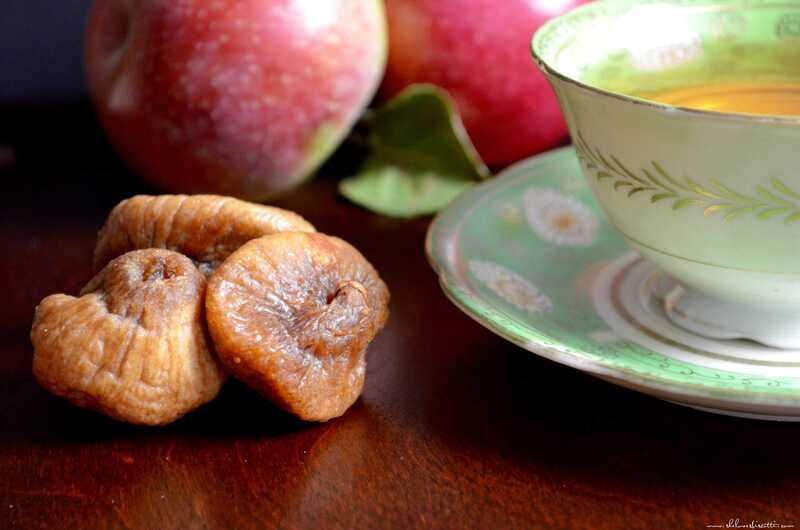 Her “special” brew consisted of apples and figs, simmered for one to one and a half hours. Truth be told, I sometimes pretended to be sick so that I could drink this hot beverage. I love this apple fig herbal tea. Maybe that’s when my apple obsession started. As I previously mentioned, my grandmother would make this apple fig herbal tea for her family and now I make it for mine. 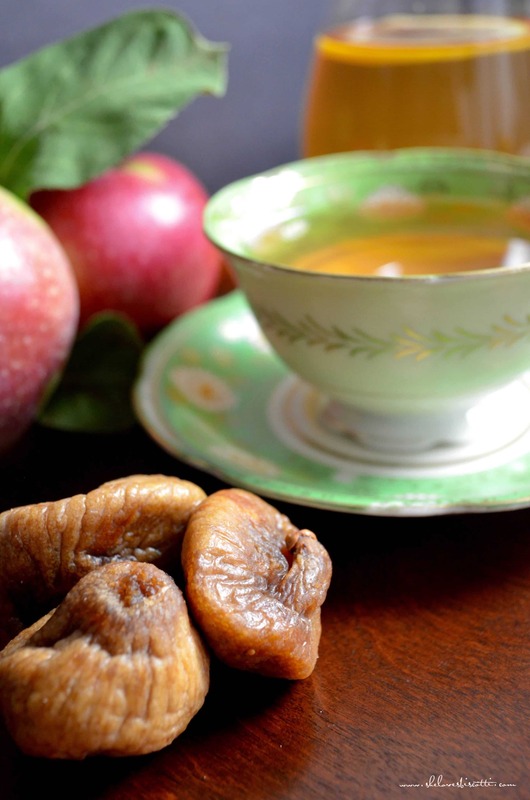 Hope you get a chance to try this recipe for an apple fig herbal tea. It just might become a tradition in your family. 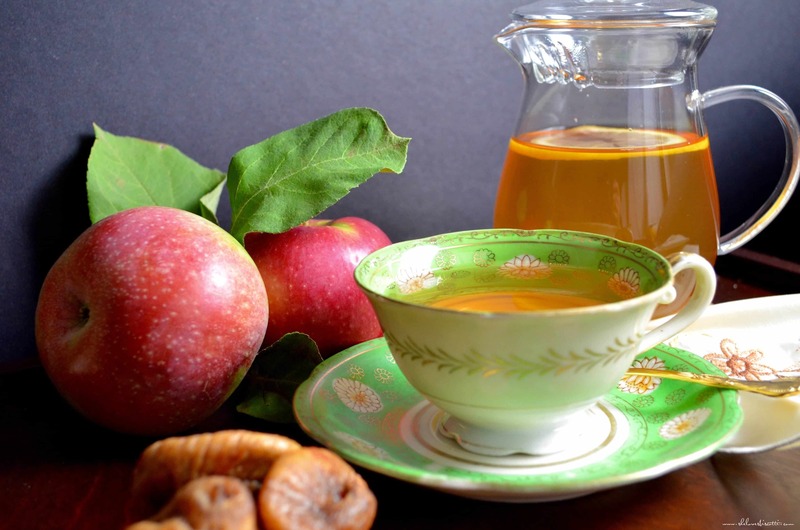 There is something that feels so natural about this apple fig herbal tea. Soothing and sweet, just like my nonna used to make. 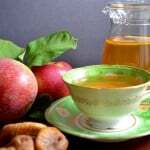 Place water, apples and dried figs in a large pot. Reduce heat and simmer for 1-1 1/2 hours. Adjust to taste with lemon wedge, honey and/or cinnamon. I usually make a big batch and refrigerate any leftovers. 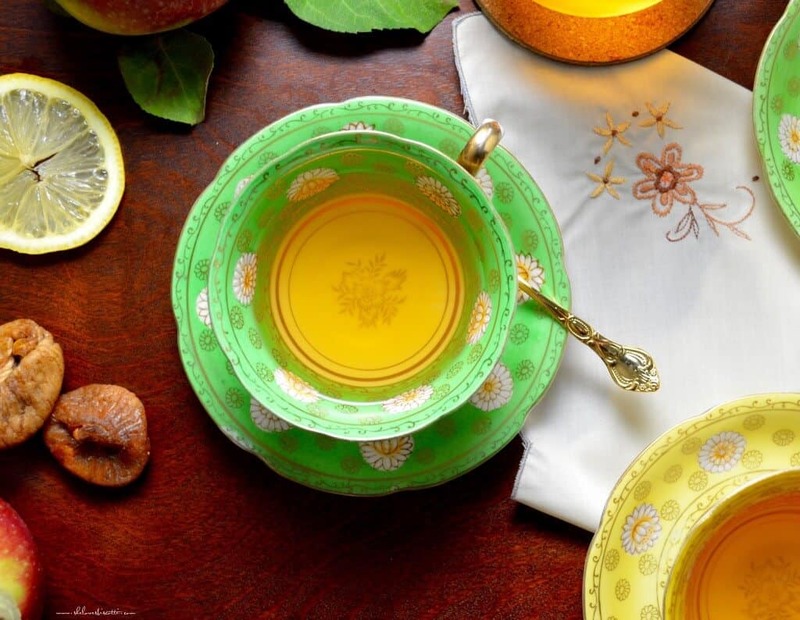 The longer the tea simmers, the sweeter the taste. 2015.10.01 Post has been updated. Has anyone tried this recipe in the Instant Pot? This looks like the perfect beverage to have when you are feeling a little under the weather. Thanks for sharing.